There is nothing much to write home about in the current Ugandan national team. Ranked at 86th in the FIFA World rankings , the Cranes have never been blessed with the talent that some of their continental rivals could boast —their most famous player at the moment is probably the Red Bull Salzburg defender Ibrahim Sekagya, who captains the African nation. Once upon a time though, the Ugandans were a force to be reckoned with. 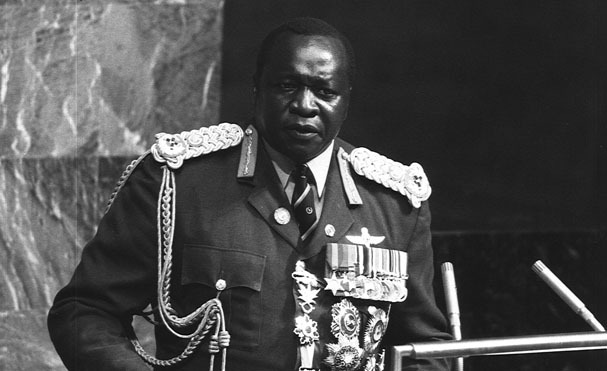 Idi Amin is probably the most well known Ugandan of all time – but it is not a name that most people would closely link to sport. However during his brutal reign during the 1970’s, in which anywhere between 100,000 and half a million of his people were murdered, Ugandan sports, and particularly football, were flourishing. Amin saw sport as a way of connecting with his country. In the 1950’s, before he seized control, Amin enjoyed nine years as the heavyweight boxing champion of Uganda. He carried that on into his tenure as head of state – in 1972 he challenged the national boxing coach Peter Sseruwagi to a bout. Of course, Amin knocked out Sseruwagi – how can you fight against your blood-thirsty dictator? Football was a passion of Amin’s too though. He dangled intrinsic and extrinsic rewards in front of the noses of players in the hope of making them perform better – it worked. Uganda qualified for three consecutive African Nations Cups in that decade, in 1974, 1976 and 1978. In the first two tournaments the Cranes failed to get over the first hurdle, but 1978 turned out to be the apex of Ugandan sport. The nation managed to secure top position in Group B in the first round, losing to the Tunisians but comprehensively seeing off Congo-Brazzaville and then Morocco. Nigeria were waiting in the semi-finals but national hero Phillip Omondi’s winner gave the Ugandans a dream final against hosts and favourites Ghana. Ghana too were enduring a time of a political instability. General Ignacio Kutu Acheampong was also aware of the effects that success in sport can have on national mood, and arranged for the referendum on his controversial reform plans – which would have banned multi-party politics – to take place soon after the 1978 final. It was essential Ghana won. The Ghanaians never looked in threat throughout the game, scoring early in the first half before adding another in the second. Uganda lost 2-0. Within a year, both Acheampong and Amin were out of power. Ghana, blessed with more talent than their 1978 opponents, won the tournament four years later in Libya. For Uganda though, it was the start of a long period of international footballing deprivation. The Cranes withdrew from the next two competitions before entering again in 1984. They failed to qualify and to this day haven’t kicked a ball in the African Nations Cup since their ruler Idi Amin listened to the game over the radio in 1978. And they have come no closer to reaching the World Cup either. In the draw for the qualifying rounds of the last World Cup, Uganda were in Pot C and therefore were determined to be of lesser ability than the likes of Cape Verde, Benin and Mozambique. The days of being amongst Africa’s elite are long gone – a point proven by their third place finish in the second stage of qualifying, as the aforementioned Benin stormed to the summit of Group 3. Amin’s reign of oppression and totalitarianism was undoubtedly ghastly. But in terms of Ugandan sport, the Cranes have never had it as good as 1978.